"Let's Talk!" 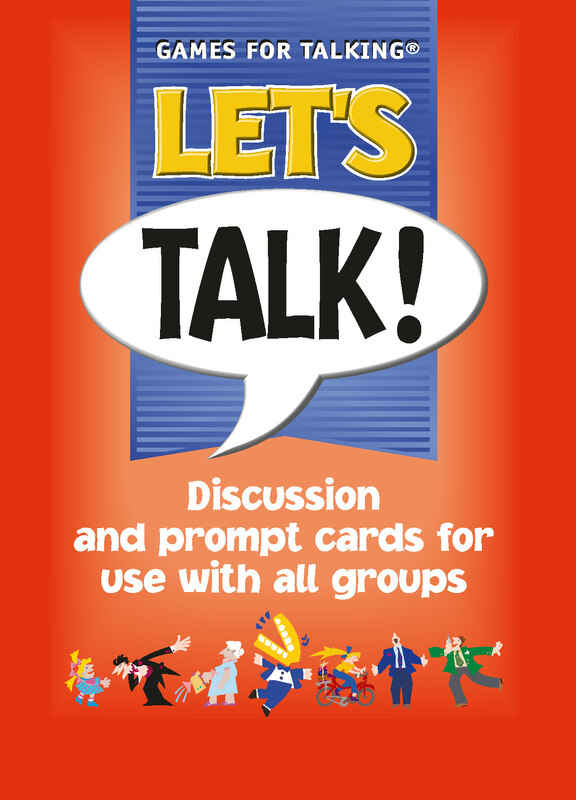 is a set of discussion and prompt cards designed for use by all groups. The pack is divided into the following three themes: One thing …One thing I feel I do well is…One thing that amuses me is…One thing that would brighten up my day is …Think back: What is your earliest memory? Name something good about getting older; Do you remember going to your first dance? Let's talk: Do you like your name? If you had one wish, what would it be? What do you enjoy reading? Let's Talk! is a set of discussion and prompt cards designed for use by all groups. Think back: What is your earliest memory? ; Name something good about getting older; Do you remember going to your first dance? Let's talk! :Do you like your name? ; If you had one wish, what would it be? ; What do you enjoy reading?